Sometimes it doesn't seem to matter what condition my skin is in preflight, or what products I apply up in the air, as my skin never looks as radiant when I step off that plane. So when I used to be obsessed with what products I'd apply inflight, have now been reduced to an edit of products that are there for the post-flight skin revival. When travelling, it goes without saying that when a tight luggage allowance is in play, packing an arsenal of skincare products is never an ideal. Combine that with the potential that something might shatter or explode mid-air, and you have yourself an issue. So I've refined my rather extensive skincare collection into a few select products that will do the trick. Depending on the time of month, my skin behaves differently so I have three options that I can either use together, or just use one. 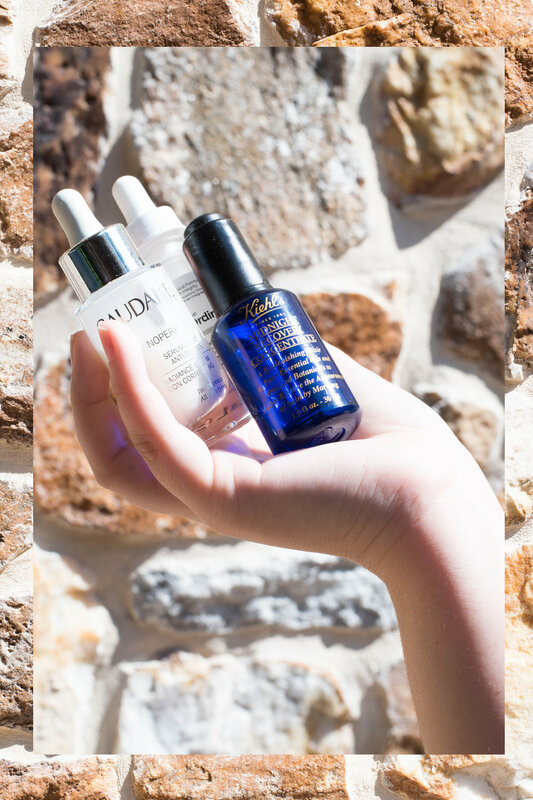 The Kiehls Midnight Recovery Oil is my ideal does it all product as I wake up with reduced blemishes, glowy skin and far more moisture than when I went to bed! The consistency is fairly dry for an oil and my skin soaks it up incredibly quickly. For the ultimate absorption - I use this following the Origins Original Skin Retexturising Mask. I find that by exfoliating first, my skin is in a prime position to lap up everything. However, if I'm fairly blemish free, I've been trying out The Ordinary Hyaluronic Acid 2%* which is wonderful! I've been using this on a daily basis for about two weeks now and it seriously hydrates my skin. Any moisturiser with Hyaluronic acid tends to pack a punch but the fact that this is concentrated, has definitely worked in it's favour! This bottle retails at £5 so it's unbelievably affordable. 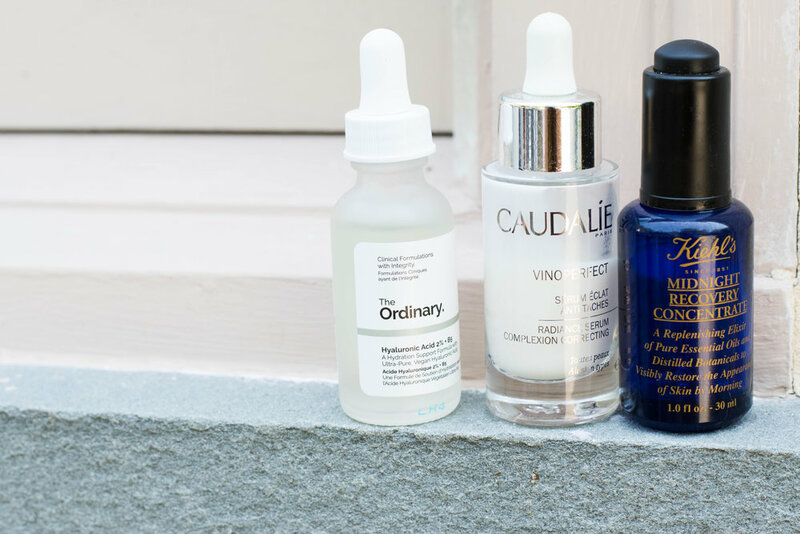 And finally, on a daytime basis, I love using the Caudalie Vinoperfect Radiance Serum* as it really does what it says on the tin. It works as a nice base for under makeup which is why I like it for the day. It's a milky consistency but it sinks in really quickly, leaving your skin luminous. Again, I don't tend to reach for this when I'm breaking out as it doesn't really help the situation but when things are redness free, it's a great shout. Again, a fairly pricy option but it lasts a long amount of time and really works. If you're an oily skinned gal, this would be your go to. What are some of your favourite post flight options? Any inflight favourites?